Place Basil strips and honey together in a small bowl and mix. Allow this to sit for 15 minutes to a half hour. Meanwhile in another small bowl combine the chili flakes with enough butter to put on one side of each slice of bread. 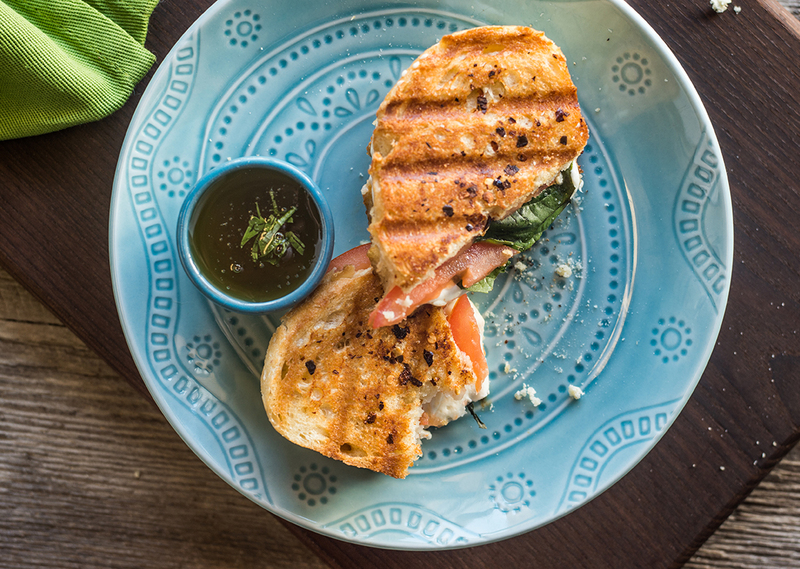 Spread the Basil and honey mix on the inside of each piece of bread and then place your mozzarella slices and tomato slices on top. Put sandwich together and spread the butter with chili flakes on the bread. Preheat the Removable Plate Grill , then place the sandwich in the grill and close, cooking for about 5-6 minutes or until cheese is melting. Preheat the George Foreman Evolve® Grill to 300°F, then place the sandwich in the grill and close, cooking for about 5-6 minutes or until cheese is melting. For the Indoor/Outdoor preheat to setting 4 and cook for 4 minutes per side.